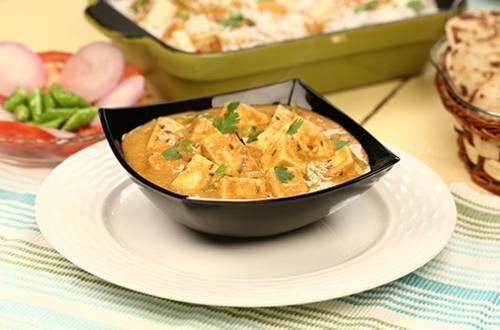 Shahi Paneer is a typical north Indian food eaten with roti, naan or masala kulcha. This dish is usually very creamy and rich in taste. 1 Heat oil in kadhai, add onions and cashew-nuts, Fry for 10 to 12 minutes. 3 Add chopped tomatoes and cook until done. 8 Add 1 tbsp Knorr Chef’s Royal Vegetable Masala along with 1 cup (150 ml) of water and mix well. 10 Serve hot and enjoy!